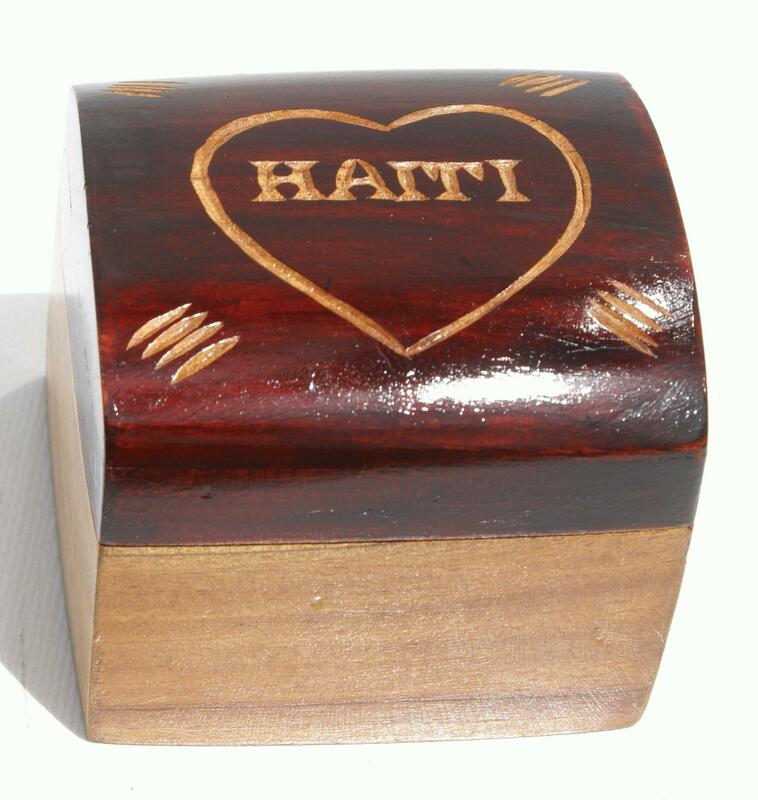 Handmade wooden box with heart design and word Haiti. Brown color. 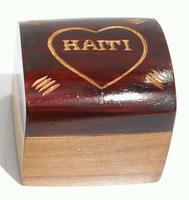 Size 8x8x7 cm.